6/6/2011Share this story on Facebook! The Ithaca Festival is four days of celebrating Ithaca and the artists that make it such a unique community. 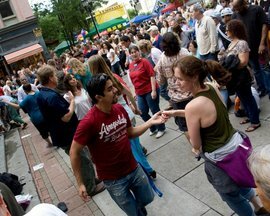 This annual event began as “Celebration Ithaca” in 1977, making this year the festival’s 34th anniversary. 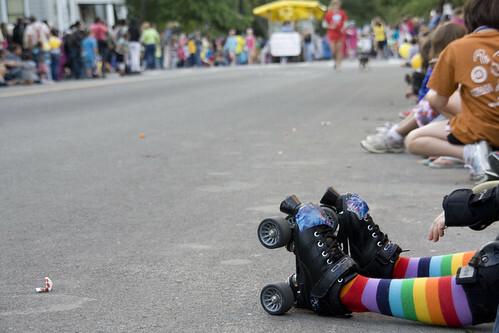 As their website states, Ithaca Festival typically brings in over 30,000 people over the course of the four days. So what exactly is Ithaca Festival? It’s primarily a music and arts celebration, with over 1,000 local musicians, painters, dancers, and community groups performing throughout the Ithaca area. 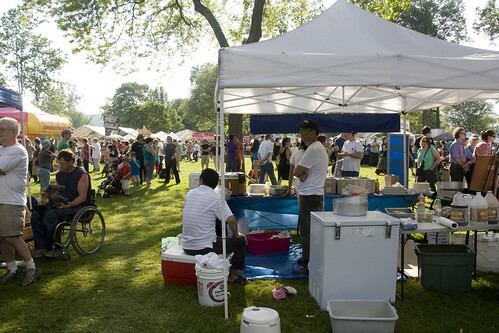 There are bands playing almost continually, a sustainability expo called the Gorges Green Expo, a craft show, and a whimsical parade to kick off the festival on Thursday, not to mention the delicious festival food! This year's theme was "A Midsummer Night's Dream" and there was even a masquerade ball on Friday night, featuring The Sim Redmond Band! All this local goodtime fun, for only $5! That’s right, the cost of admission for almost all the events is simply to purchase a festival button, the proceeds of which go directly into the funding for next year’s festival. It’s cheap, it’s fun, and it’s Ithaca at its quirkiest and best. While people joke that the festival begins when the college students leave (most IC and Cornell students have left by now), there are still plenty of IC students soaking up the excitement of the festival, and some are even on the staff for the festival this year! Danielle West ’13, the Graphic Design intern, expressed how influential IC was in her getting this position. “The assistant director [of Ithaca Festival] Katie Pangburn is an IC alum. We were the same major too,” West explained. Pangburn ’09 and West both majored in Communication Management and Design (CMD) while at IC. As the graphic design intern working for the festival, West’s duties were primarily designing the program and the posters and helping to make the entire theme of A Midsummer Night’s Dream come to life. West attributes getting the intern position with being an IC student and being a CMD major, complete with design background. She also stated that there are “three big [classes]” that were particularly helpful in this internship: Organizational Writing and Publishing (with professor Ari Kissiloff), Intro to Strategic Communication, and Presentation Media and Visual Design. While her graphic design duties are over for this year, West says that she’s volunteering for the festival all weekend. West believes that her major and concentration in Instructional Technology, as well as this internship, will help her establish a career in designing training materials for various companies. 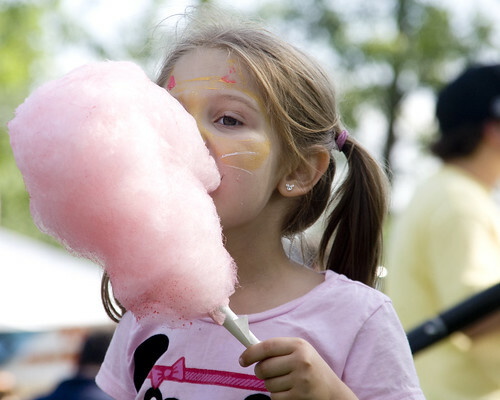 Ithaca Festival is a weekend for all those who call Ithaca another home - - and a great time to meet and mingle with IC alum or fellow students while listening to bands, checking out local art, eating cotton candy, and simply enjoying the beauty of Ithaca and its residents.